Mád is the start and end point of the “Footsteps of the Wonder Rabbis” pilgrimage route. The 150 km long route touches 10 towns and villages as it winds its way through the Jewish memorial sites and the architectural heritage of the Tokaj-Hegyalja region. During the pilgrimage pilgrims visit the gravesites of late wonder rabbis, learn about the rabbis' lives, the legends surrounding their lives, the history, traditions and regional role of the former Jewish population of the towns they visit, and get the opportunity to experience the breathtaking scenery of Tokaj-Hegyalja. The start and end point of the pilgrimage route is the Jewish Cultural Information Centre in Mád, which used to be the Rabbical school. The pilgrimage is bookable as a touristic service package that includes a guided tour of a section of the pilgrimage route. Visitors are free to choose the length of the section they would like to visit. The start and end point of the pilgrimage route is an emblematic Jewish cultural memorial site and a real gem of Tokaj-Hegyalja. The former rabbi's house and rabbinical school on Táncsics utca, which is the starting point of the pilgrimage, the synagogue and the Jewish cemetery make a walk in Mád a worthwhile endeavor. On Táncsics utca one can also find the Louis XVI style synagogue, built at the end of the 18th century. It is said that the Mád synagogue is one of the most beautiful synagogues of the world and it is with good reason that it was included in an album published in the USA, titled "100 Most Beautiful Synagogues of the World". 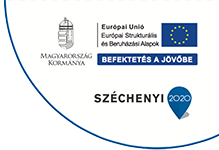 The excellent restauration work that was carried out on the synagogue was recognized with the Europa Nostra Award. The largest Jewish cemetery of the Tokaj-Hegyalja region is found at the end of Magyar utca. The well-kept cemetery is surrounded by a stone fence and is the resting place of Ábrahám Schwarz and Mordeháj Winkler, famous rabbis of the congregation. Jewish families trading wine and grapes lived in Tarcal after their arrival from Poland in the middle of the 18th century. Their Baroque synagogue was probably build between 1790 and 1810 in Louis XVI style (86. Fő utca). The building resembles the Mád synagogue in its architecture, cornice, and exterior staircase. The building itself is private property. Now called Gallery of Tarcal, it is being used as a venue for temporary exhibitions. The Jewish cemetery of Tarcal is located at 25. Keresztúri út. Among the hundreds of tombs rests Jakab Spira, the town's famous rabbi. The town of scenic beauty that gives Tokaj-Hegyalja its name, Tokaj, lies at the confluence of the rivers Tisza and Bodrog. The synagogue, one of the most beautiful buildings in the town, operates today as a cultural and conference center (55. Serház utca) and is often the venue for concerts and conferences. Nearby, at 9. József Attila utca, is the only active Jewish prayer house of Tokay-Hegyalja. There are 2 Jewish cemeteries in Tokaj. The old cemetery is located in Bodrogzug, beneath the ruined walls of Tokaj castle. The cemetery was founded on the floodplain of the river Bodrog in the middle of the 18th century and is only accessible by ferry. The new cemetery was established along the current Bodrogkeresztúri út at the end of the 19th century. Surrounded by beautiful scenery, the riverside village is an important site of Jewish pilgrimage routes. Reb Steiner Saje, wonder rabbi of the local Jewish congregation is known far and wide. The former residence of the wonder rabbi was turned into a memorial house (65. Kossuth utca) and is now a popular pilgrimage destination along with his grave in the Jewish cemetery on the slopes of Dereszla hill. Legends tell of the miracles performed by the renowned wonder-working rabbi. The Jewish cemetery in Bordogkeresztúr was established on the Dereszla hill in the 18th century. The wonder rabbi's grave is located at the peak of the hill. The famous wonder rabbi of Olaszliszka, Friedmann Cvi Herschele, was brought up in Sátoraljaújhely, in Mózes Teitelbaum house. After Teitelbaum passed away, Friedmann turned Olaszliszka into the center­ of Hasidism in Hungary. His grave, located in the Jewish cemetery along the scenic Belsőkocsord út, attracts pilgrims up to this day. Many pilgrims still visit the rabbi's grave on the anniversary of his death (14. Av). The synagogue was destroyed after World War II, but is commemorated in János Kőbányai's book, titled Hungarian Wailing Wall (Magyar siratófal), in which revisits a story that is also told by Miklós Jancsó's movies, shot in 1965 and 1975: the story of how a synagogue is reduced to a single wall in ten years. At the site of the former Kossuth utca synagogue a memorial site commemorating the Tokaj-Hegyalja Jews was built in 2015. The Jewish community played a major role in the economic life of Sárospatak, a town with rich traditions at its core. The first Jewish residents settled in the town at the end of the 18th century. By the end of the 19th century, the community had its own school, a yeshiva, which was functioning until the end of World War II. There is a Holocaust memorial plaque on the community's old bath house, while the synagogue on Rákóczi út was converted to a shop. The Jewish cemetery is located on Arany János utca in the direction of Bodrogolaszi. Sátoraljaújhely is the most famous pilgrimage destination of Tokaj-Hegyalja. For more than 150 years, many pilgrims have been visiting the grave of Moshe Teitelbaum, the founder of Hungarian Hasidism. The tomb is protected by a modern ohel (tabernacle; lit. "tent"). Rabbi Teitelbaum moved to Újhely in 1808. Due to his charismatic personality he was revered as a tzadik or ‘wonder rabbi’ and people turned to him for advice in many different fields, while other came to him for his protective and healing talismans. During his 33 year of work, Rabbi Teitelbaum founded a yeshiva, created literary works and preached. He passed away in 1841. By World War II, the city’s Jewish population reached four thousand. Later, however, his synagogue was demolished, and now only two Jewish cemeteries and a small dilapidated prayer house remain. 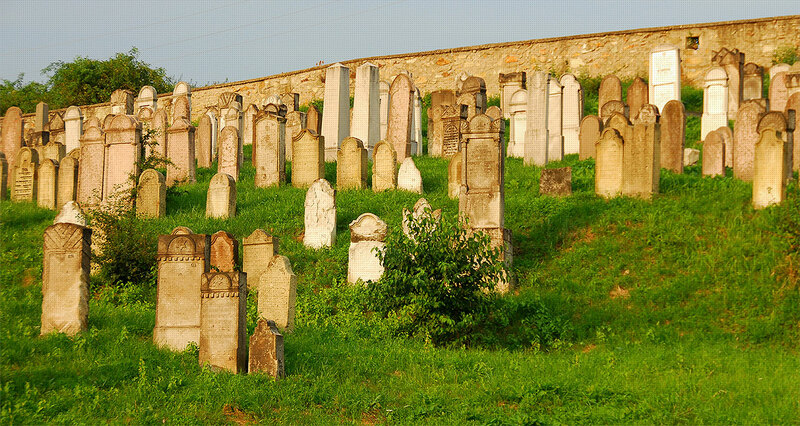 The centuries old cemetery can be found on the slope of a hill opposite the Pataki út rail station along highway 37 in the direction of the town. A flight of stairs leads from the foyer to Mózes Teitelbaum's grave. The new cemetery is located at 91 Kazinczy utca. It contains the tombs of Jeremiah Loew and his son, Rabbi Lazarus. The small, scenic village in the mountains may not be the center of the world, but is symbolically the center of the Tokaj-Hegyalja region. The Jewish population that settled in Erdőbénye at the beginning of the 18th century were mainly vineyard and mill owners. With its synagogue destroyed, the fenced cemetery on the outskirts is the only memorial to the town's former Jewish community. The only Jewish bath in Tokaj-Hegyalja is located in Erdőbénye. The ruined building awaits restoration. The birthplace of American film studio founder William Fox, born Vilmos Fush, can be found 3 kms from the village in the neighboring town of Tolcsva. Adolph Zukor (Zucker Adolf), born in Ricse, and William Fox (Fuchs Vilmos) from Tolcsva were both influential personalities of U.S. movie production. The picturesque small-town of Tokaj-Hegyalja is a site of World Heritage. The Jews who settled in the town in 1765 arrived from nearby Austria and Czech lands under the protection of Prince Károly Bretzenheim. Abaújszántó soon became an important trading and market center. In 1941, of the 4908 Abaújszántó residents 681 were members of the Jewish community. In 1945, Holocaust survivors unsuccessfully tried to reinvigorate the Jewish community The town's large synagogue (15. Jászai tér) was built in 1896 near the marketplace. It is used today as a storage facility. The well-kept cemetery is located at 20. Dobó utca. It holds the tombs of two renowned rabbis, Elesar Loew and Aryeh Loeb Lipschutz. Tállya is situated where the Zemplén mountains meet Hernád valley. According to measurements made in 1991, Tállya is located at the geometric center of Europe. The first Jewish wine merchants settled in the scenic country town in the 17th century. The Jewish population grew continually and there was a time when the town had three active synagogues. After the Holocaust the Jewish community never returned to Tállya. The synagogues were either demolished or repurposed. The fenced, well-kept Jewish cemetery remains on the side of the Koldu hill. The town's famous rabbis, Gerson Rosenbaum and his son, Arje Leib, rest in an ohel, a tent-like tomb.